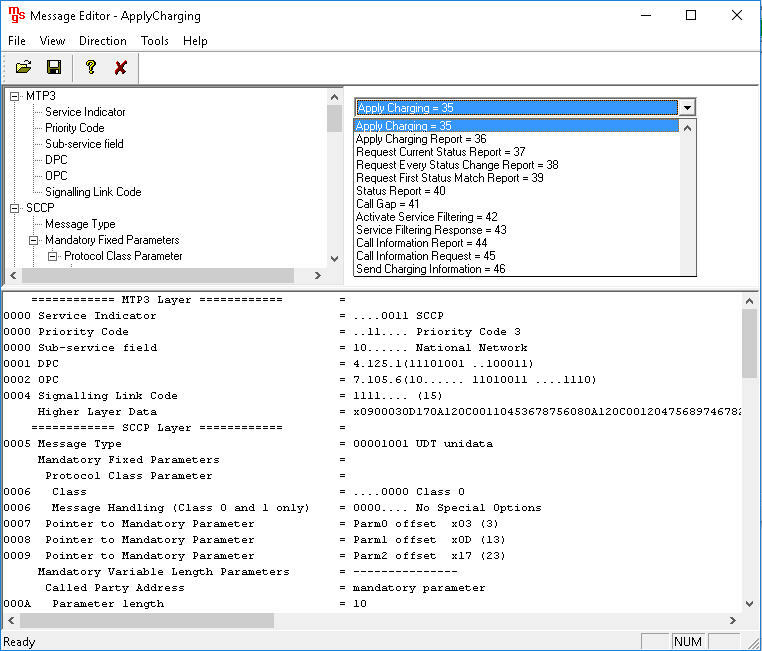 MAPS™ ANSI INAP Over IP Emulator Software Ver 7.10.6 (64-bit Only) | Download Now! 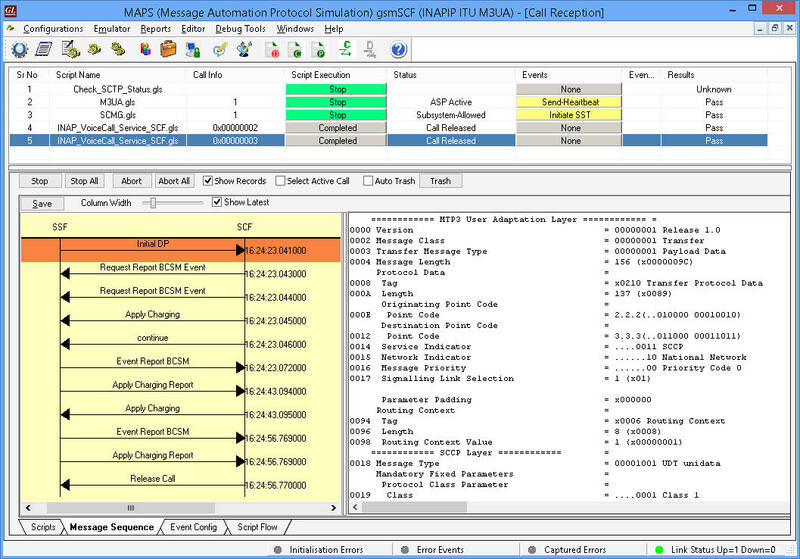 MAPS™ INAP Over IP Emulator Software Ver 8.4.25 (64-bit Only) | Download Now! Traditional telecommunications networks usually limited to making and receiving voice calls are now supporting enhanced services such as prepaid calling, tele-voting, number portability, call transfer, and so on. Such enhanced Intelligent Network (IN) services were defined by the ANSI and ITU-T standards. The core IN specifications defines Intelligent Network Application Part (INAP) as an application-layer protocol used in Intelligent Networks (IN). 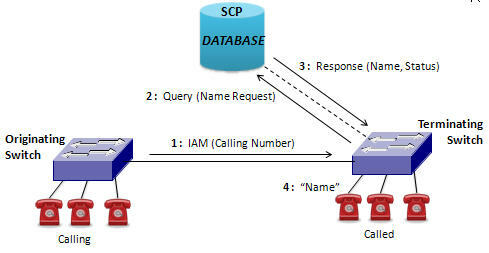 INAP is part of SS7 protocol suite and used for services such as single number translation (800), local number portability, incoming call management (do not disturb or call forwarding), backup call destinations in case of disaster, Apply Charging for the call duration, Establish Temporary Connection, Connect to Resources, and similar services. This protocol runs on top of TCAP and is deployed using SS7 or SIGTRAN. The communication between SSPs in the SS7 network uses ISUP signaling. The communication between the SSP and the SCP takes place using the TCAP layer of SS7. As the SSP handles calls, the SCP is queried for information about how to process the IN service calls. The functionality provided by the Intelligent Network (IN) is applicable to mobile/wireless networks, which includes mobility management to the task of implementing distributed IN services. 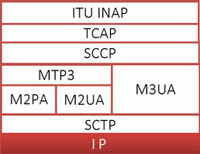 Intelligent Network Application Part (INAP) provides the communication between the Functional Entities such as SSF and SCF, typically layered over TCAP similar to the mobile protocols. 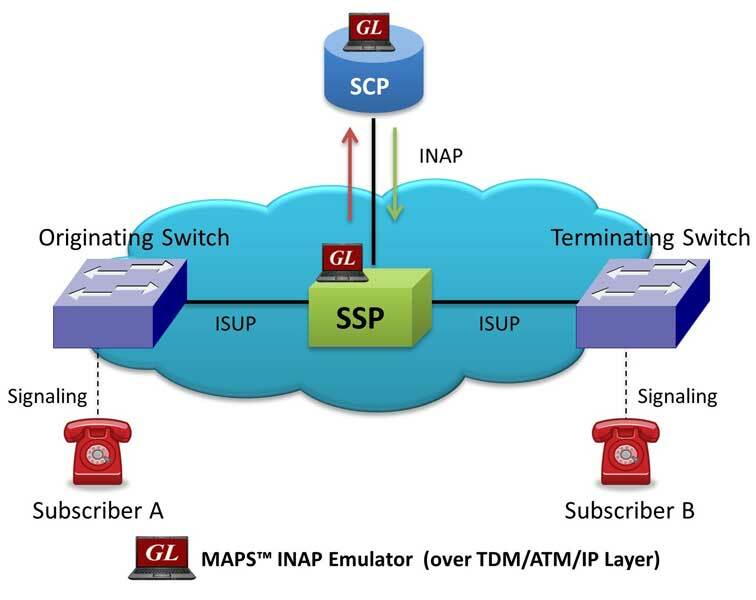 The Telephone exchange uses TCAP, SCCP and INAP. 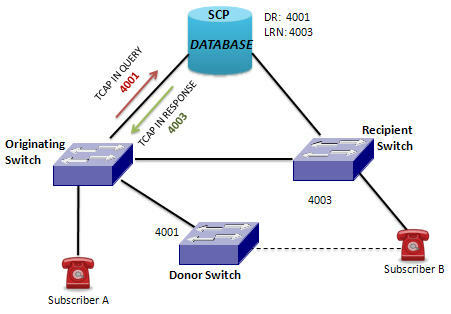 The Service Switching Function (SSF) normally resides within the SSP and the Service Control Function (SCF) within the SCP. As the SSP handles calls, the SCP is queried for information about how to process the IN service calls. 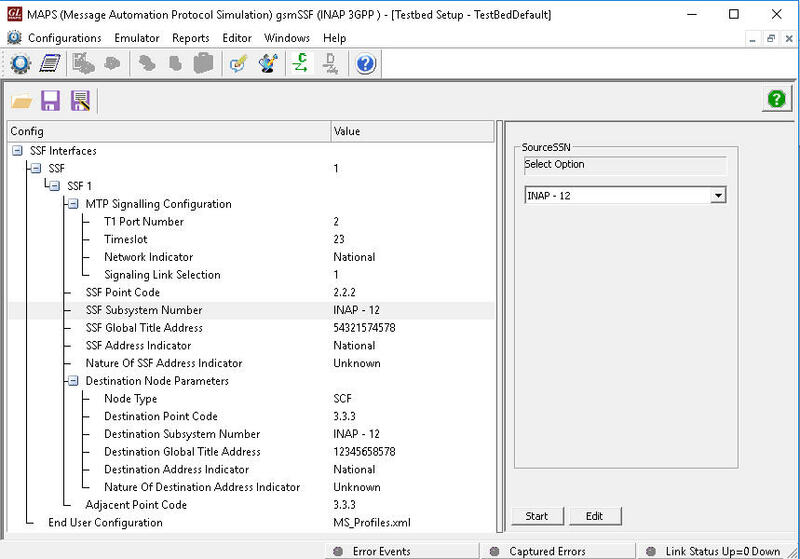 In IN network Service Switching Point (SSP) sends an INAP Initial Detection Point (IDP) message to the Service Control Point (SCP). 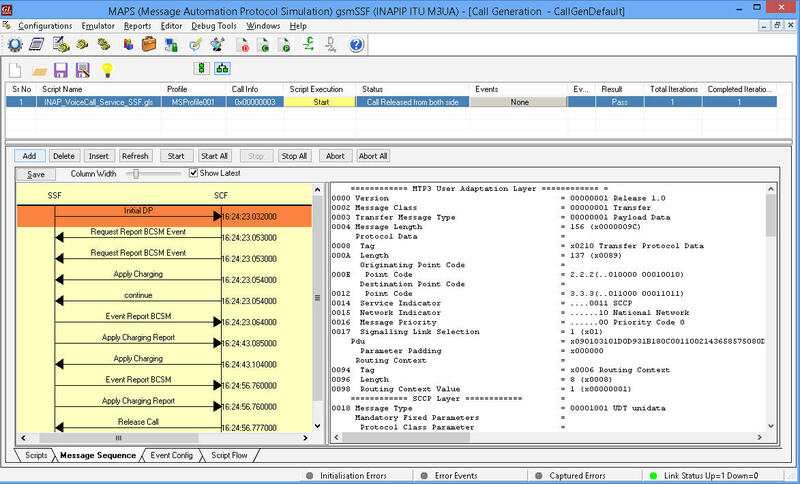 GL's Message Automation & Protocol Simulation (MAPS™) is an advanced protocol simulator/tester for INAP (Intelligent Network Application Part) services. 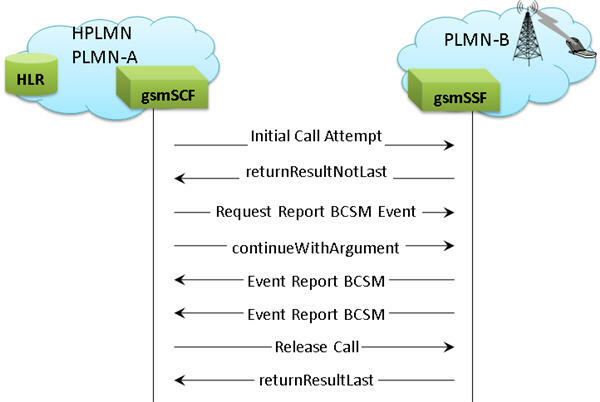 The tester supports testing network elements gsmSCF and gsmSSF, error tracking, regression testing, conformance testing, and load testing/call generation. It is able to run pre-defined test scenarios against INAP test objects in a controlled & deterministic manner. 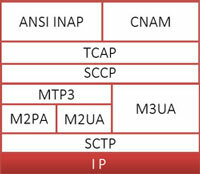 MAPS™ INAP functionality covers the ITU and ANSI variants of SS7 implementing M3UA, M2PA, M2UA, MTP3 and ISUP protocols over TDM and IP transport protocols. INAP can be transported using 'traditional' SS7 protocols carried by Message Transfer Protocol (MTP) in TDM (T1 and E1) or over IP using SIGTRAN. With the popularity of the internet and IP, a special IP protocol called SIGTRAN is rapidly gaining acceptance to transport SS7 signaling over IP. MAPS™ INAP scripts are suitable for testing objects reliably and accurately validated for compliance with ANSI, and ITU-T specifications. As per ANSI specifications, the supported services are CNAM (Calling Name Delivery), LNP (Local Number Portability), and Toll-free 800 Number over TCAP layer as per ANSI. There are few other procedures supported such as Prepaid Voice Call Service, Toll Free Voice Call Service, Low Balance Voice Call Service, and Initiate Call Attempt (ICA) Service over IP as per ITU-T specifications. The application gives the users the unlimited ability to edit INAP messages and to create IN service scenarios (message sequences). "Message sequences" are generated through scripts. "Messages" are created using message templates. MAPS™ supports Command Line Interface (CLI) and when configured as server-side application enables remote controlling of the application through multiple command-line based clients including TCL, Python, VBScript, Java, and .Net, using MAPS™ client-server architecture (requires additional license). GL also provides an independent GUI based SS7 protocol analyzers (optional application – XX120) and SIGTRAN Analyzer for online capture and decode of the signaling in real-time both during tests and as a stand-alone tracer for live systems. 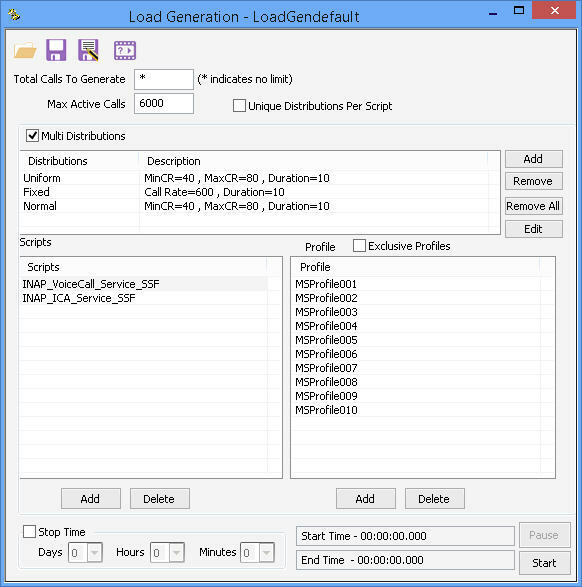 Call Generation option allows the user to simulate outgoing communications where an outgoing call is initiated by sending call control messages using proper scripts and profiles. 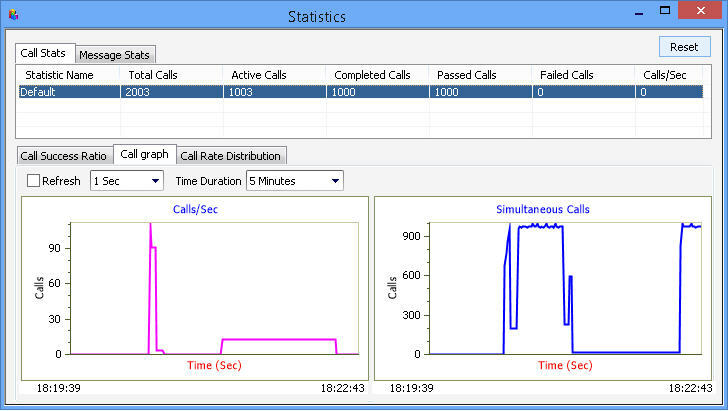 The profile allows necessary parameters of call control messages to be changed during run-time. 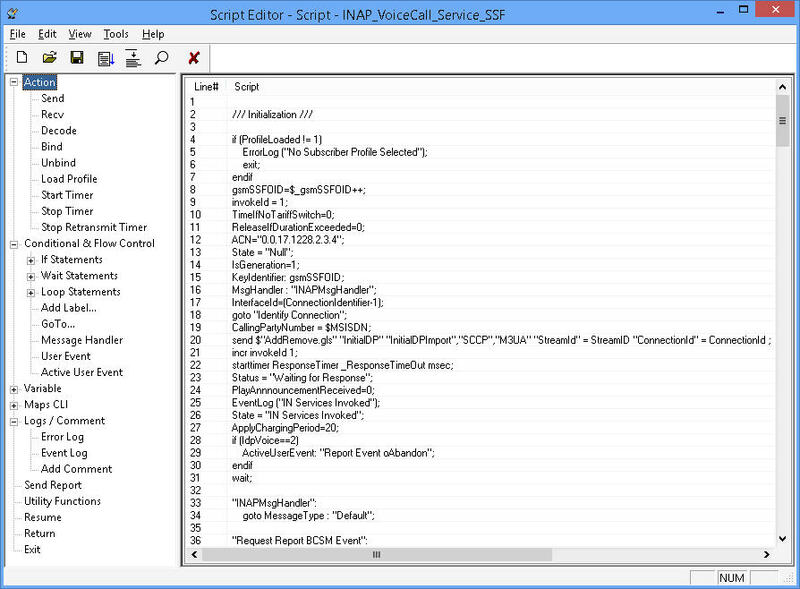 The MAPS™ INAP configured to act as GSM SSF terminal to simulate Camel Voice calls prepaid service. 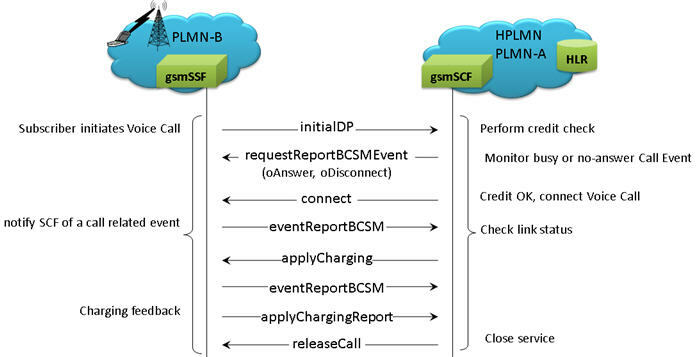 The Prepaid Voice call procedure specifies the charging related information to be provided by the SSF and the conditions on which the information has to be reported back to the SCF via the "ApplyChargingReport" operation. The contents are Network Operator specific. 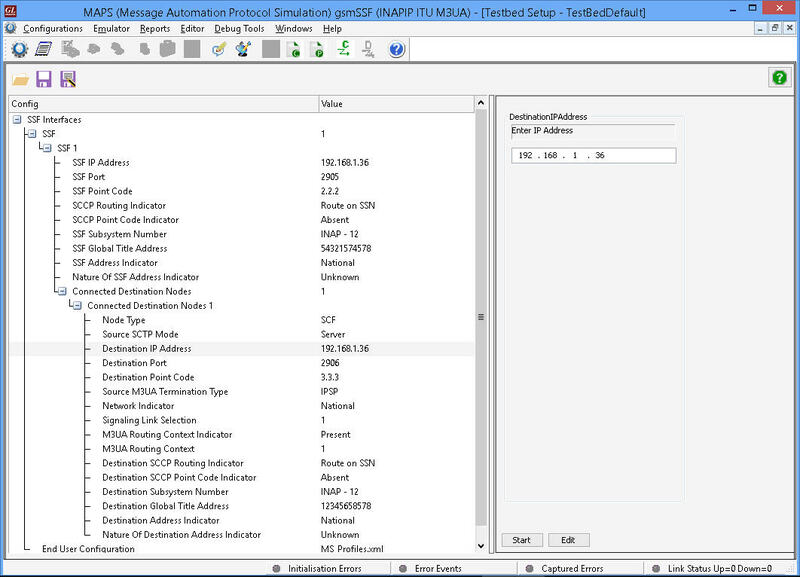 MAPS™ INAP IP can also be configured as gsmSCF node to test the DUT (gsmSSF). 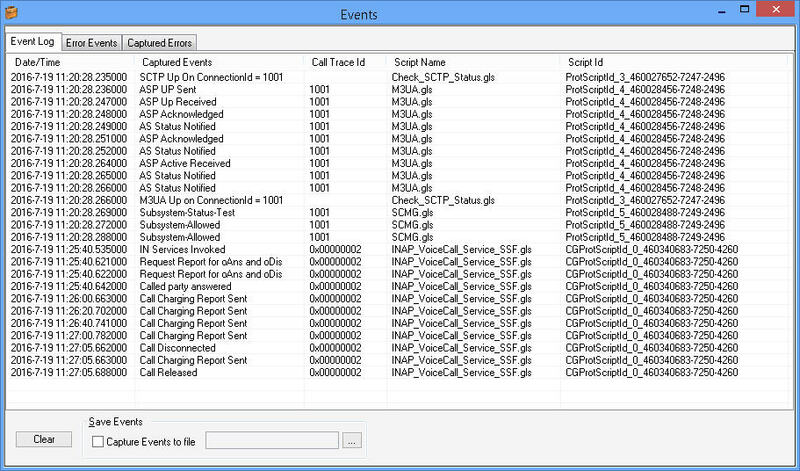 The Voice Call Service script is triggered once the initialDP message is received from gsmSSF, which is processed and a response notifying SSF about the call related events is sent back. Followed by which Apply Charging operation is used to interact with the SSF about charging mechanisms.